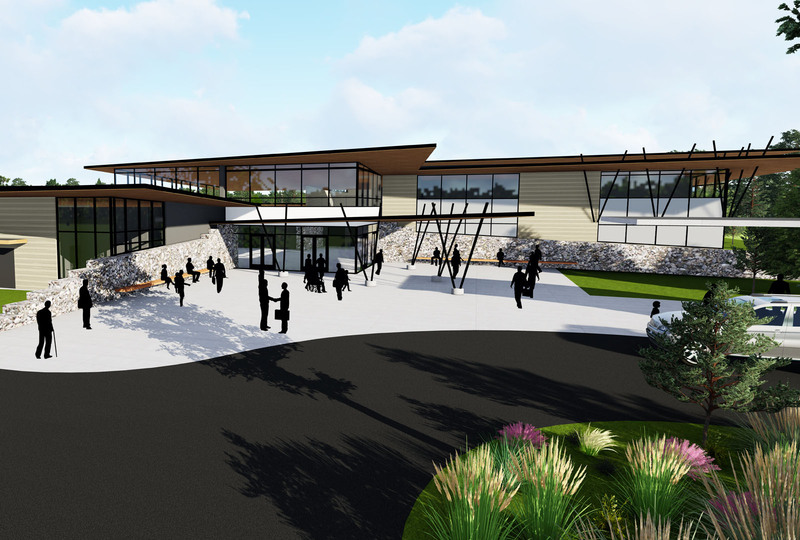 The Ronan Community Center is designed to encourage community health and wellness through social gathering, teaching, mentoring, and learning. By including a variety of programmatic spaces, the project seeks to engage all members of the community at all ages. 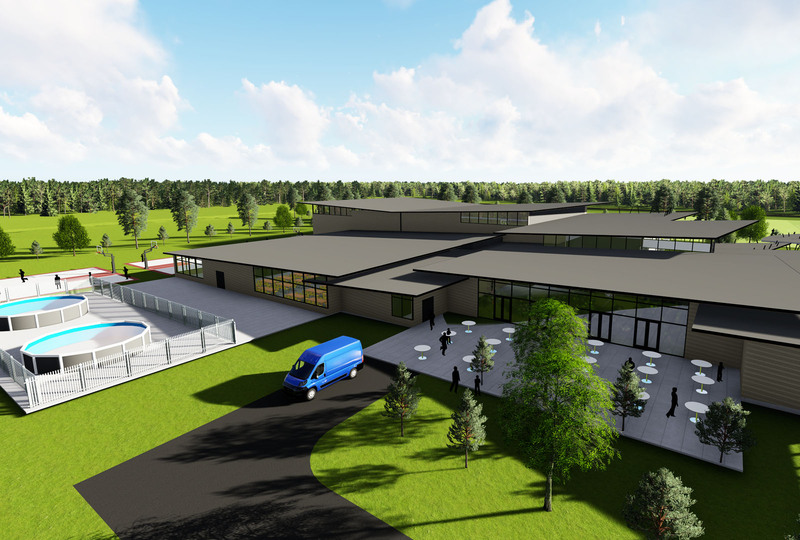 The project includes indoor and outdoor community event spaces, gym and fitness rooms, outdoor sporting fields and courts, community gardens, as well as the Boys and Girls Club of Ronan. The design utilizes low sloping roofs and large overhangs to minimize the large scale and create the appearance of spreading out into the surrounding landscape. Large expanses of glass provide comfortable, natural light to the interior. Stone walls reach toward the surrounding community in the cardinal directions. The exterior materials are generally metal siding, wood, stone and concrete.